On Friday, Apple’s spokeswoman Natalie Kerris stated that pre-orders for iPhone 5 have “completely blown away” Apple. Today Apple announced the amount of pre-orders they have received for their latest iPhone. 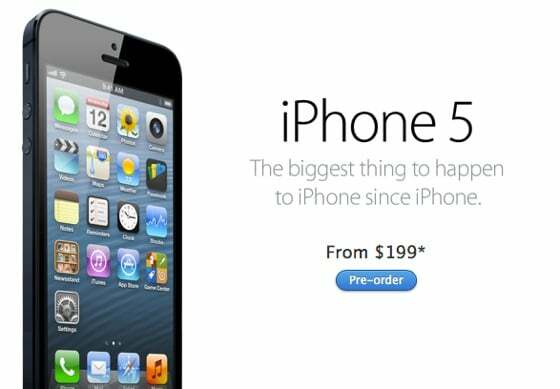 Apple announced that pre-orders for the iPhone 5 topped two million in just 24 hours, that’s twice as many pre-orders the iPhone 4S received last year. CUPERTINO, California—September 17, 2012—Apple® today announced pre-orders of its iPhone® 5 topped two million in just 24 hours, more than double the previous record of one million held by iPhone 4S. Demand for iPhone 5 exceeds the initial supply and while the majority of pre-orders will be delivered to customers on September 21, many are scheduled to be delivered in October. Apple also states that demand for iPhone 5 exceeds the initial supply, and most customers will receive their iPhone 5 by September 21 and many will have to wait until October.